The ca­t­a­logue Wehrhahn Line is pub­lished by Ker­berver­lag to ac­com­pany the open­ing of the Wehrhahn-Linie Düs­sel­dorf in Fe­bruary 2016 as well as the ex­hi­bi­tion: “Cont­in­u­um and Cut – The Düs­sel­dorf Wehrhahn Line – A Syn­th­e­sis of the Arts”, April 30 – June 9, 2016 in Aedes Ar­chi­tec­ture Fo­rum, Ber­lin. 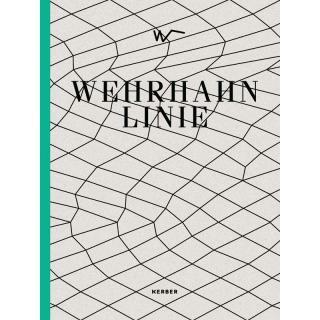 The Wehrhahn Line is a sub­way line in the very heart of Düs­sel­dorf that was de­vel­oped on the ba­sis of in­tense co­op­er­a­tion be­tween ar­chi­tects, artists, en­gi­neers and the mu­ni­ci­pal au­thor­i­ties from the very out­set. It is wide­ly rec­og­nized as con­sti­tut­ing a new mod­el for col­lab­o­ra­tive con­struc­tion. What was im­ple­ment­ed was a holis­tic con­cept by net­zw­erkar­chitek­ten and Heuke Kluss­man: A sub­way tun­nel as an “un­der­ground spa­tial cont­in­u­um” that writh­es like a giant snake through the earth, wi­den­ing at the sta­tions. The en­trances to the six new sta­tions are unique and spec­tac­u­lar­ly de­signed cuts in this Cont­in­u­um – pic­turesque, sculp­tu­ral, in­ter­ac­tive, acous­tic, in­ter­stel­lar and ge­o­met­ric in­ter­ven­tions that are inse­para­ble from the shell ge­ome­tries of the con­struc­tion.